I can't help you with the external drives, but maybe you can think about getting NAS. I have Synology Diskstation (DS218 play) and it's really a great way to access all your data from anywhere, backup and simply have a single storage for all the data you gather over time. It's a bit pricey, but in the long term, it's worth every penny. Use a RAV Power FileHub Plus with USB port. It comes with an app to access USB drives plugged into it. With the app it’s easy to transfer to the files app. I’ve not tried Drag and Drop though. Attach the drive to my PC and create a share drive. Then use Documents by Readle or FileBrowser to access it. These apps will also work with the travel router above. The FileBrowser app has a WebDAV server. Share with that and do the drag and drop stuff with a PC. Attach the drive to my PC and use the AudioShare wifi transfer. Transfer to an SD card using one of these, then plug that into the PC and move to an attached USB drive. Of the above, my favorite is #1 because those little routers have so many other great uses. #5 is cool too because it’s fast as hell since there’s no wifi transfer involved. For the sheer amount of storage Synology NAS drives look indeed kind of 'pricey'. But most of the DiskStation's value lies in it's apps that provide a wide variety of solutions. It can replace iCloud within your local environment, got several media administration apps, server and backup solutions, integrates with Timemachine and can even bridge to the internet with very few effort. My recommendation (and my personal method) would be to invest in a MobileLite card reader/drive. 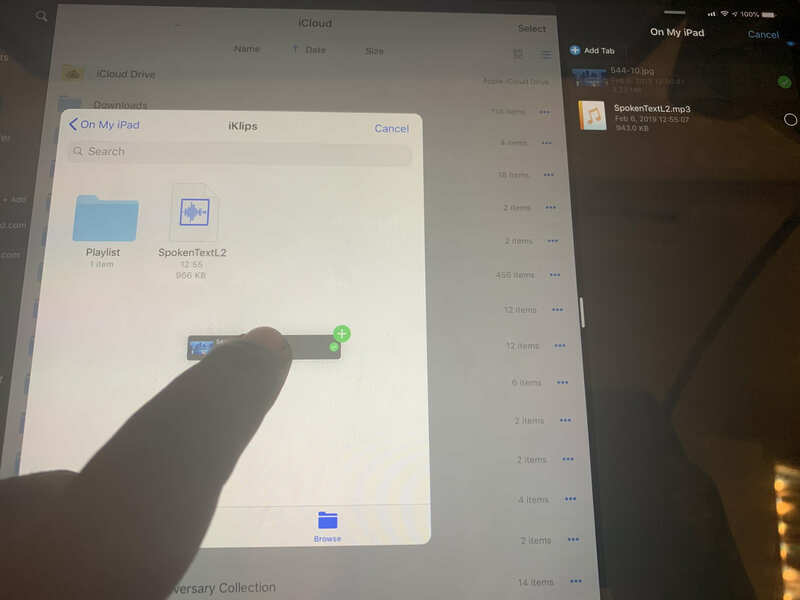 It’s never going to be the fastest method when dealing with iOS, but at least with this device, if you use a file manager app like documents by readdle or file browser, you can access a connected drive or sd card as a networked drive and transfer files that way. 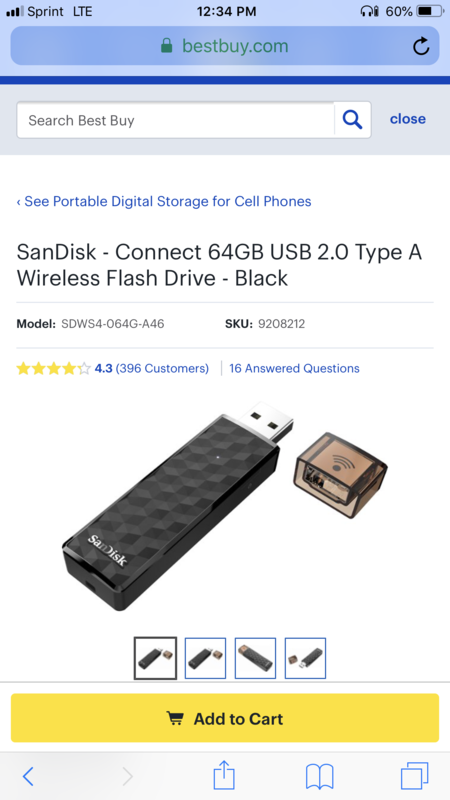 The biggest benefit is via this method you can connect any properly formatted USB drive you already have instead of using an iOS specific one. Thanks useful stuff. Do you know if I went with option 5 with an sd card and FileBrowser App if I would Make sd card viewable in files app? No, unfortunately I don’t think that will work. none of the options will allow you to view the files in the files app directly, but if you have a networked drive, you can view the files in filebrowser and transfer those files to your files app/folder or iCloud folder. I don’t think so, but will try it out tomorrow. I just tested it out, with an external drive connected to my Mac, and my iPad browsing my Mac via FileBrowser. It show internal volumes in the Files app, but not mounted volumes. But you can see mounted volumes inside the FileBrowser app. This is actually better, as you can drag audio files from the Files app over to the mounted drive in FileBrowser, using Split View. I just added some samples to my Octatrack like this, dragging from AudioShare “direct” to the OT, which is connected to my Mac. No way to eject a USB drive via FileBrowser, though, that I have found. My Passport WIFI SSD shows up in the files app. I don’t drag and drop files, but this drive support “open in” and all kinds of stuff. Might be what you are looking for. Nice. That’s what I was looking for. can you drag and drop whole beatmaker3 sessions to the wifi passport too? I have the Wifi MyPassport drive. I think it's sometimes a bit of a hit or miss. Yesterday I mixed down some Auria pro projects to Wav on my Ipad. From the files app I tried to copy them to my Mypassport drive but it just didn't work. The files appeared on the drive with an 'uploading' flag but after a while they were all marked with 'upload error' and disappeared. It was late so I'll try again soon, but bit of a letdown. 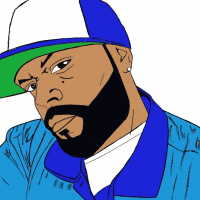 I’m pretty lame at drag and drop. 😀 Can’t figure out how to drag anything out of Beatmaker 3 to anywhere. Exporting with that little “open in” button and sending stuff to the WD SSD in the iOS files app works, though. I actually haven’t used the drive much. Bought it for the SD card reading ability but ended up using Adobe Lightroom CC for photo storage and access. But very recently, started shooting video clips with an Osmo Pocket and the WD SSD/Osmo Pocket/Luma Fusion combination is quite nice. For audio, I’m just starting to use it for loop storage for clips to use with video. Not sure this drive is the best tool for everything, but for fast creation of minute long family movies it seems well suited. More time and experience will tell. There is no such thing as an external drive for IOS - it simply doesn't exist. ALL solutions combine hardware (the 'drive') with SOFTWARE matching the IOS rules to present storage for apps. The most simply ones just support photos and vdeos (like a card reader connected to CCK), which us useless for music apps. Sophisticated ones provide essentially the same as using iCloud, but target a local storage medium instead of an internet based service. Unfortunately the degree of convenience is hard to tell from product descriptions. Your best options is to pick one from the suggested solutions in this thread and check if they fit your needs - and of course check if your apps feature external project transfer at all. Take a look at FIleBrowser from Stratopherix - should be a possible candidate. Documents and Filebrowser both support drag and drop with compatible apps. Both can handle networked drives. Drag and drop to their own file locations, but not drag and drop from a share drive to any other app’s folders. It has to be a two step operation. This is why i lean toward Documents instead of Filebrowser. Documents supports drag and drop across applications, assuming the other app also supports the same feature. Besides the fact that design-wise its the closest to mac's Finder app, it also allows you to access the iCloud drive. 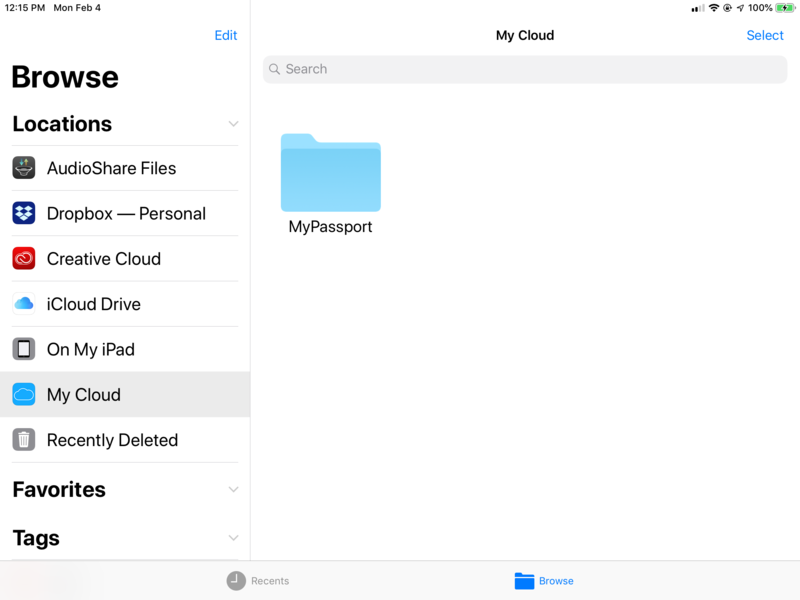 In the side menu there is an iCloud option, within it is your iCloud folder for Documents, but it also has an iCloud drive folder that takes you to the files share window. you can drag and drop into that window for any other app's folder on your iPad and in the cloud. The yellow iCloud Drive Folder in the picture is the one that brings up the Files Share window that lets you navigate the Apple Files browser. EDIT: just testing a few things out now I'm not quite sure what the issue is. I'm able to drag files from a shared drive directly into Apple's files app folders as well. Documents and Filebrowser both have this ability. I’m so glad we are finally approaching 1990s file management technology. Another few decades and we should be good to go. as much as i enjoy iOS, the files app honestly is so terrible I hardly ever use it. If i can, I manage everything in Documents because it feels more like a mac experience. Ive never had any problems or found anything lacking this way. i use one of these wireless usb sticks. i can transfer sounds between my computer ipad iphone, anything really that uses wifi. it’s pretty great. Cult Of Mac has a description of how you can browse all your Mac’s folders from the Files app using the Filebrowser app from Stratospherix. I haven’t got a computer myself, so I haven’t tried it, but I have the Filebrowser app and I must say it’s very good at connecting to external drives. I have an Apple Time Capsule and USB drives connected to my router and the Filebrowser app connects to them without any problems at all.